Despite being a densely populated and a highly developed metropolitan city, Hong Kong has a surprisingly rich and fascinating geodiversity and abundant attractive landforms as a result of its 400 million year long geological history. 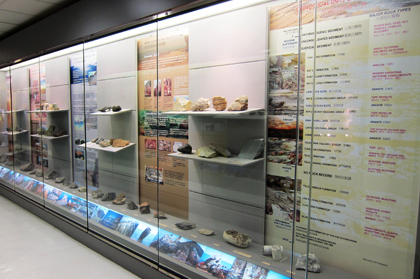 This gallery displays the geological evolution of Hong Kong from the oldest rocks in Hong Kong of Devonian age, the 400 Ma sedimentary rocks of the Bluff Head Formation, to the present environment. It also demonstrates the history of geological activities in Hong Kong as well as the influences the geological evolution has had on the historical and modern Hong Kong environment.